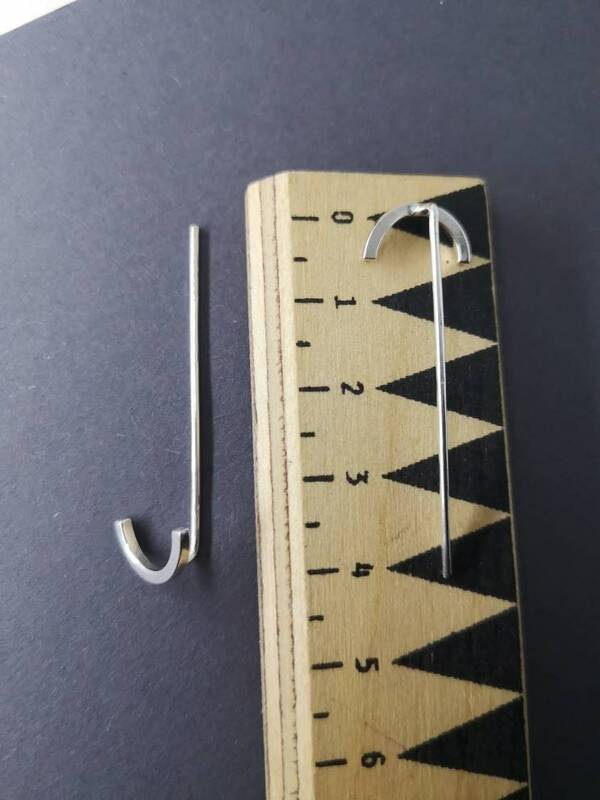 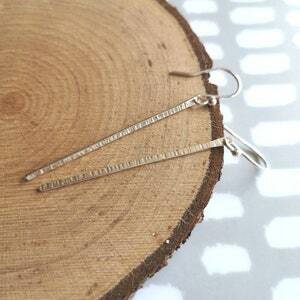 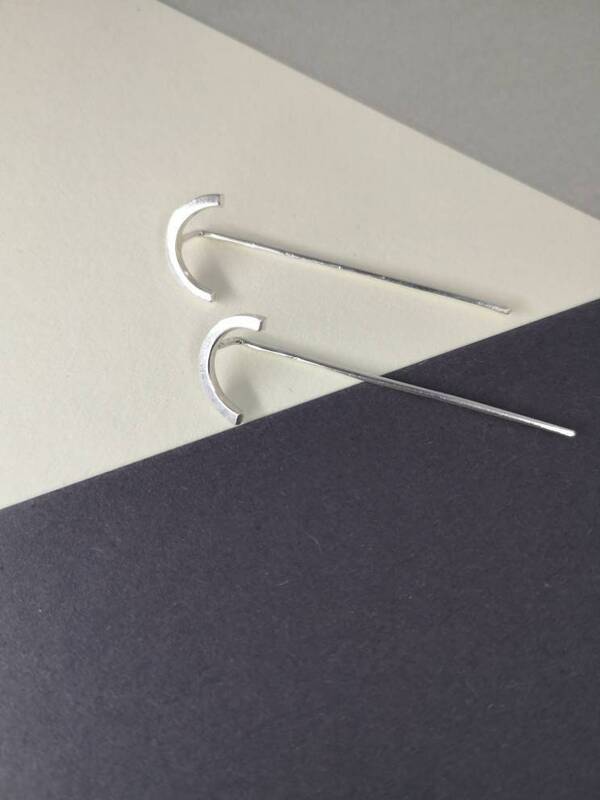 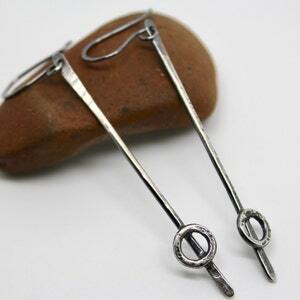 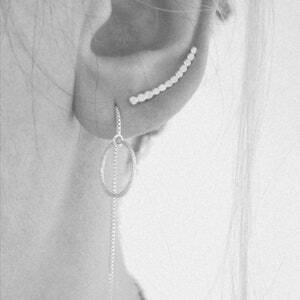 Semi-circle threader earrings in sterling silver. 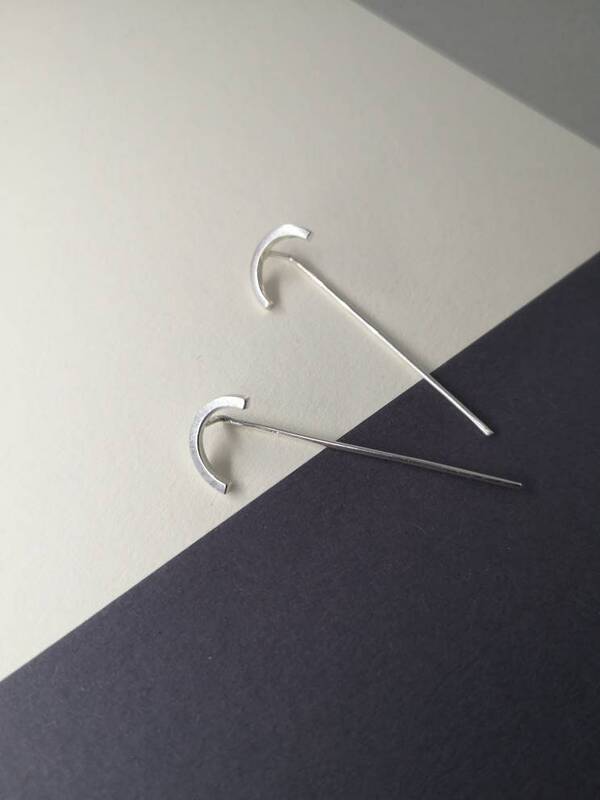 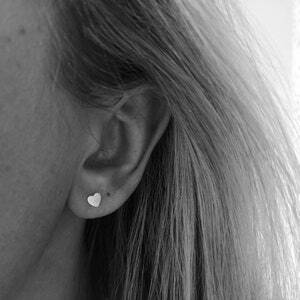 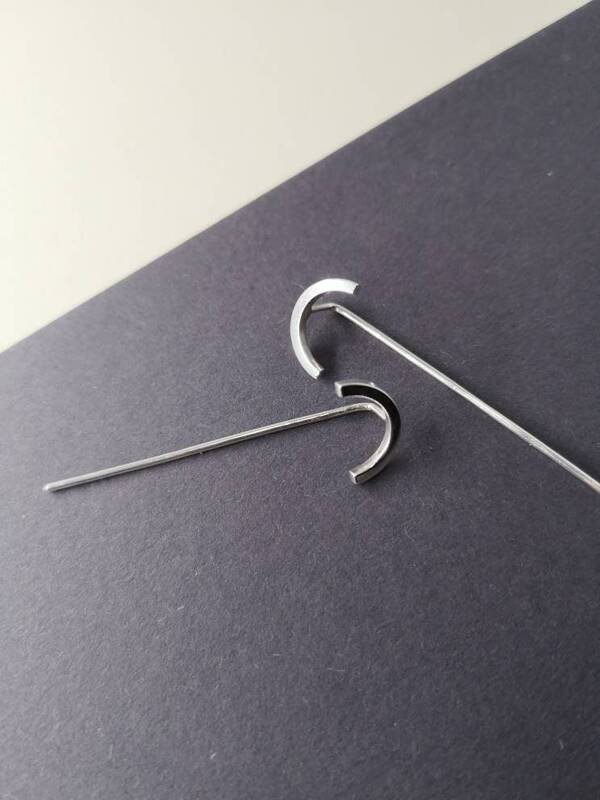 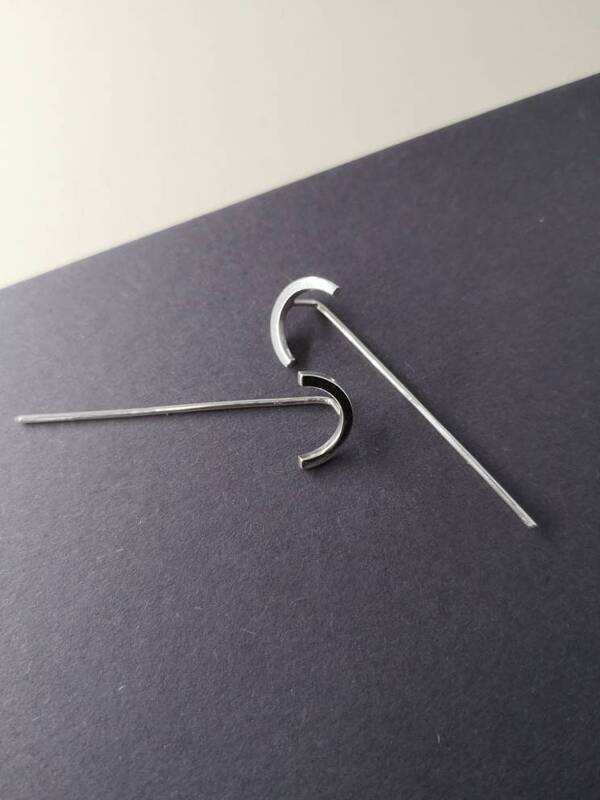 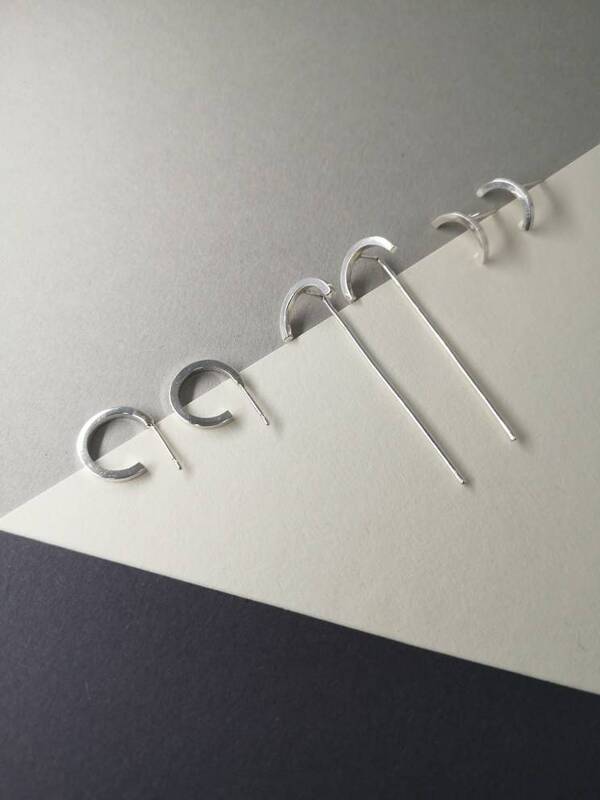 The post simply threads through the ear, to create a pleasing minimalist design. 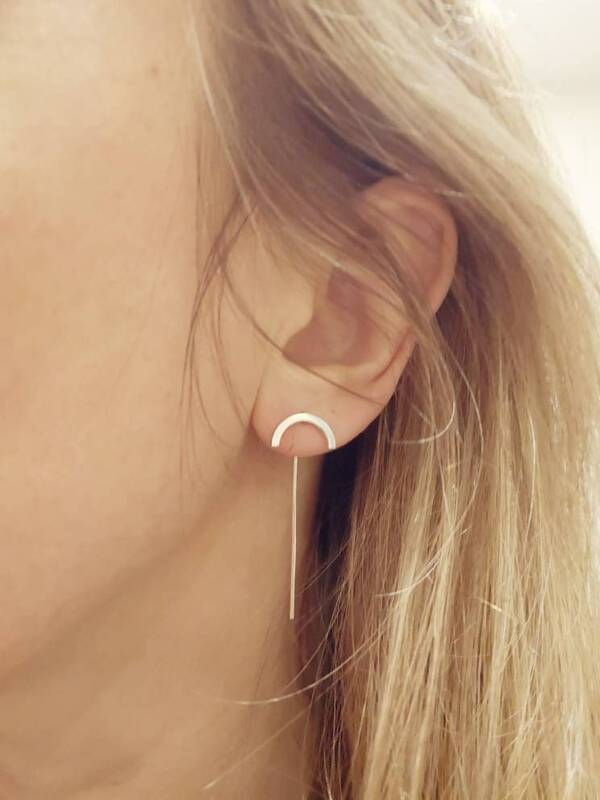 Earrings hang approximately 4 cm long.